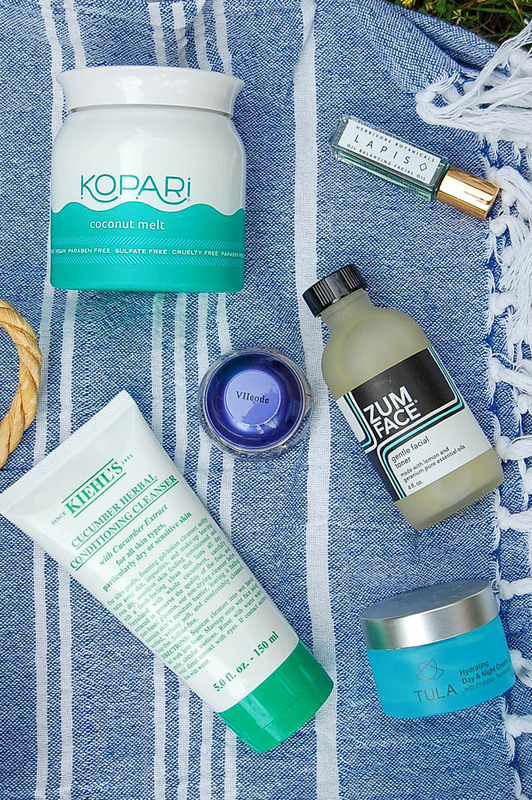 VIIcode T2 Oxygen Eye Cream is a beautiful and luxurious eye cream that I just love as a new addition to my summer skincare routine. This eye cream has over 2 centuries of history! A royal brand born in the 18th century, this cream was formulated as an "ageless mystery" for Queen Josephine, wife of Napoleon. Kept a royal secret for over 100 years because of the results, this eye cream works wonders! Both morning and night after cleansing my face, I gently pat the VIIcode T2 Oxygen Eye Cream into my skin with my fingertips. During the day it protects skin from air pollution and UV light. At night it repairs cells and rejuvenates skin to reverse signs of aging. VIIcode T2 Oxygen Eye Cream is non greasy, does not leave residue, does not irritate, is safe for all skin types and is thick and rich, yet has an airy and light texture. After just a couple weeks of use I noticed incredible results, including a reduction of fine lines, discoloration and puffiness, and my skin is re-hydrated, refreshed and renewed around my eyes! I highly recommend this eye cream! 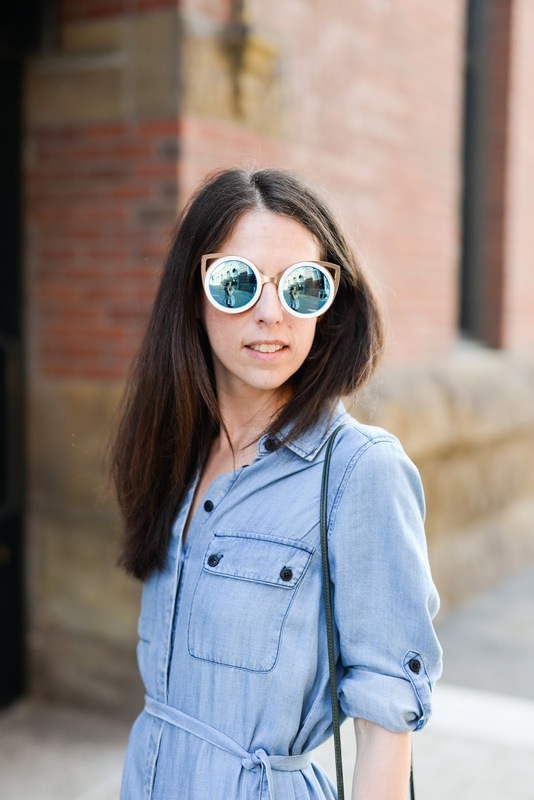 Izipizi #SUN NAUTIC Sunglasses are ideal eye protection from the summer sun. With polarized lenses (category 3, 100% UV protection) to block reflecting light, these Lunettes de soleil Polarisées also have flexible hinges to adapt to all face shapes and sizes. 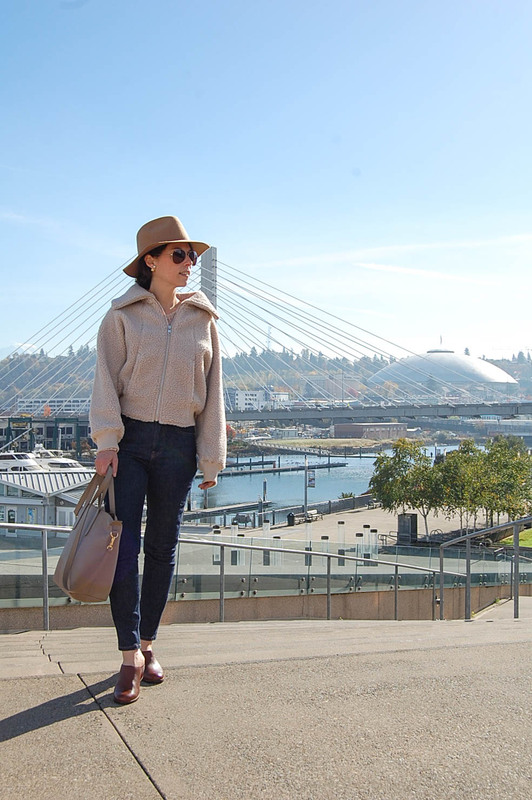 Sporty chic eyewear perfect for summer and travel, Izipizi #SUN NAUTIC Sunglasses are super lightweight, stylish, incredibly well made and available in a variety of colors (I have both white and king blue and took both recently on our Honeymoon to the Greek Islands!) They're also a great value at only $65! 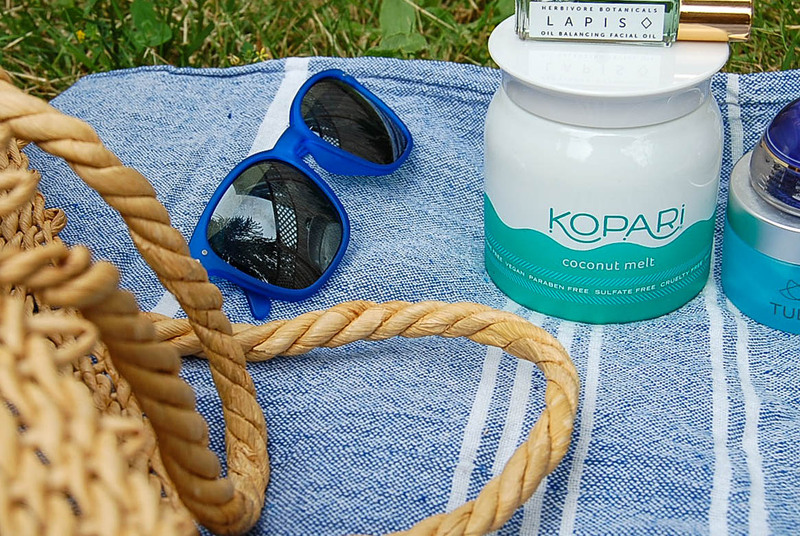 Kopari Coconut Melt is an incredible multipurpose formula that is a summer must-have. It works for hair deep conditioning, all over skin moisturizing, belly balming, baby skin smoothing or even adding to a hot bath. I like to use it on my arms, legs and hair at night to wake up in the morning to super soft skin and hair. It's also great for removing makeup; I just dab a little on a cotton ball and and wipe it over my face to remove my makeup. 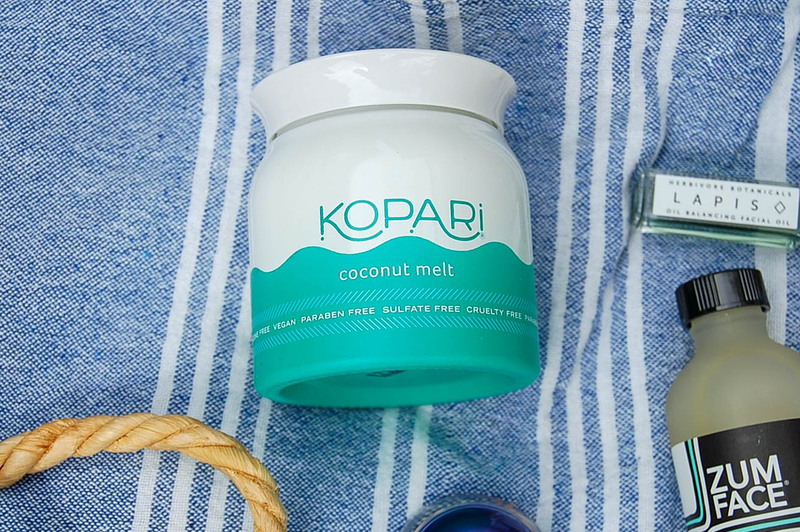 The Kopari Coconut Melt is 100% pure coconut oil and is Sulfate free, Cruelty free, Paraben free, Silicone free, Non-GMO, Vegan, and Recyclable! 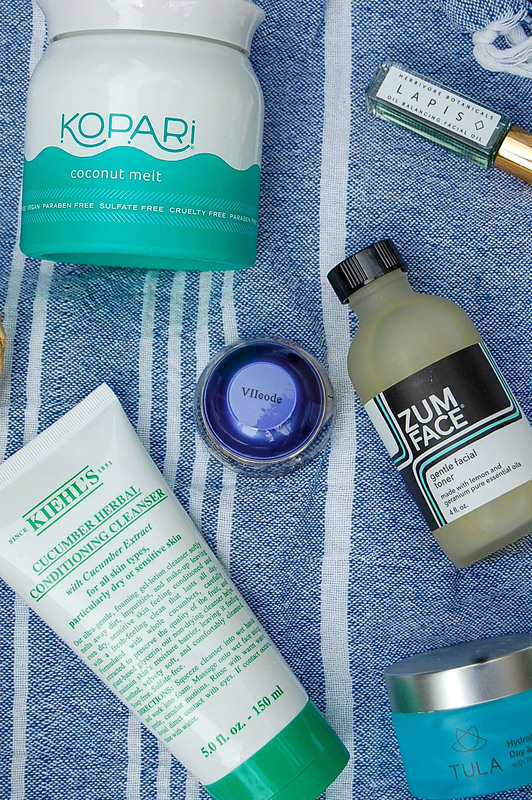 Hello clean beauty summer multi-tasker! 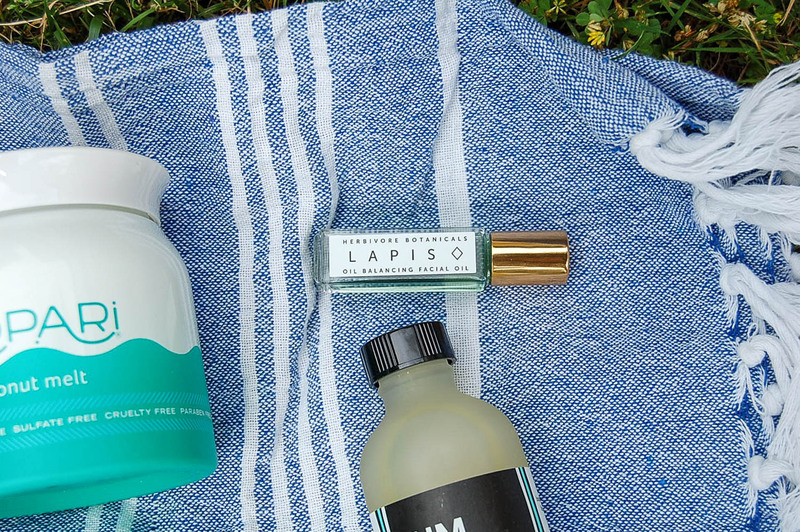 Herbivore Botanicals Lapis Oil Balancing Facial Oil is a little bit of a genie in a bottle. 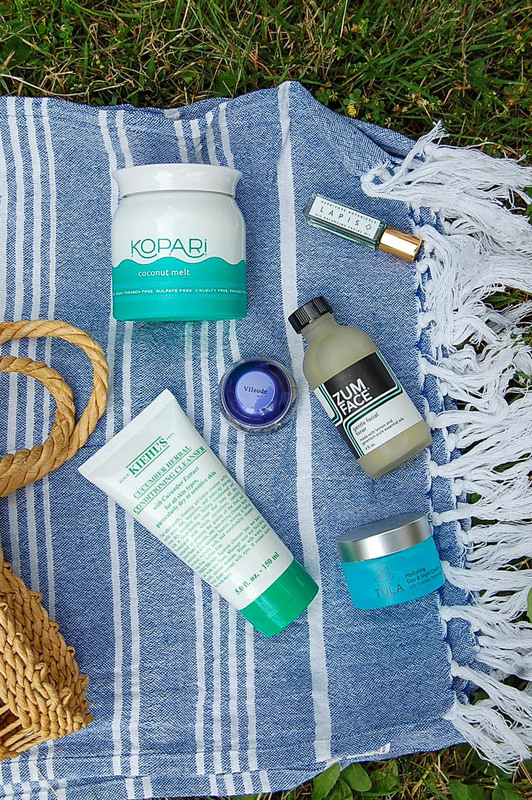 Want balanced hydration for your skin? Granted! A purified, smooth complexion? Your wish is granted! Relief from inflammation? Third wish, also granted! But, the best part is, this little bottle of wonderfulness does even more than just grant three wishes. With Jojoba oil proving balanced moisture and absorbing into the skin without clogging pores, Blue Tansy oil acting as an anti-inflammatory and antibacterial, reducing redness and clarifying the complexion and Jasmine Sambac and Squalane helping to prevent wrinkles and increasing the elsticity and texture of the skin, Herbivore Botanicals Lapis Oil is definitely top shelf beauté. Having purchased multiple bottles of this lovely facial oil by Herbivore Botanicals, I can attest that it is well worth the addition to your beauty cabinet. Truly natural and made of only the finest clean beauty ingredients, I apply this oil directly to my cleansed face and neck and massage in. It smells incredible and feels divine! 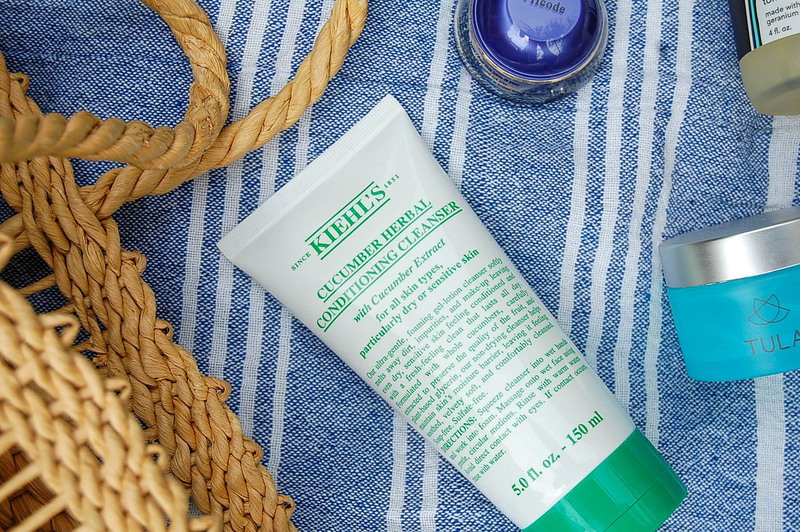 Kiehl's Cucumber Herbal Conditioning Cleanser with cucumber extract is a super gentle, foaming gel-lotion cleanser that I am just loving as an addition to my summer skincare regimen. Suitable for all skin types, it softly melts away dirt, impurities and makeup, leaving skin (even dry, sensitive skin!) conditioned, fresh-feeling clean and velvety soft. Both soap and sulfate free, the Kiehl's Cucumber Herbal Conditioning Cleanser gives my skin a fresh clean feeling that lasts all day. I massage the cleanser onto my wet face in circular motions, after working into a foam. It smells delightful and I love that it is formulated with whole cucumbers! Zum Face Gentle Facial Toner is a plant based and chemical free toner that dissolves impurities, without stripping away your natural moisture. Containing only what your skin needs with things like witch hazel, certified organic aloe vera leaf juice, and extracts of rosemary and chamomile, this toner is perfect for soothing both mental and physical symptoms of stress. 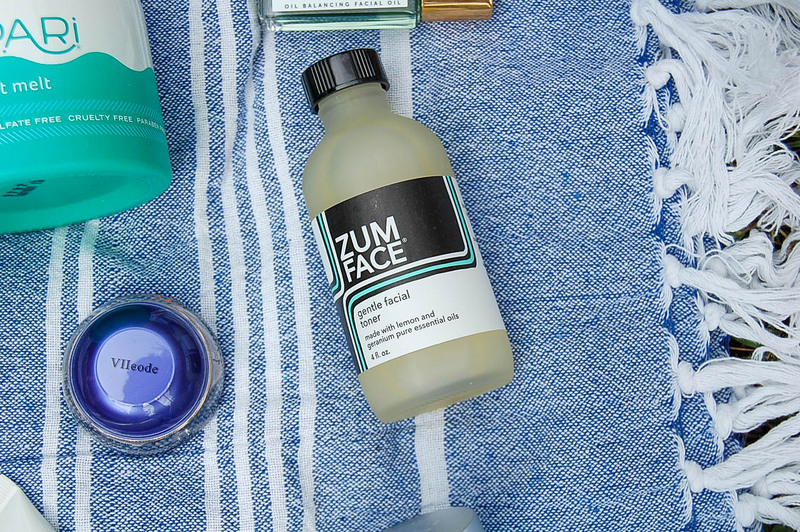 After cleansing, I use a cotton ball to directly apply the Zum Face Gentle Facial Toner to my skin. I love how it rejuvenates my pores and sets a clear and balanced base. Made with lemon and geranium pure essential oils, it provides a perfect post-cleansing base for better hydration retention. 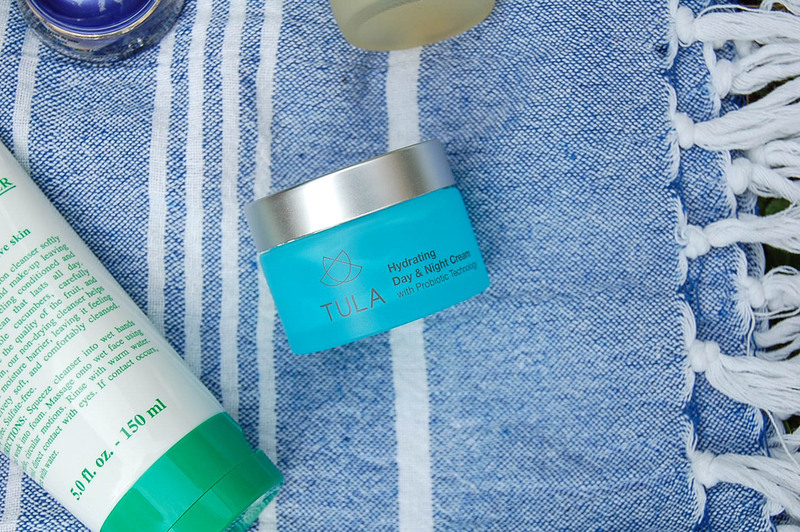 Tula Hydrating Day and Night Cream with probiotic technology is one of my holy grail beauty items. 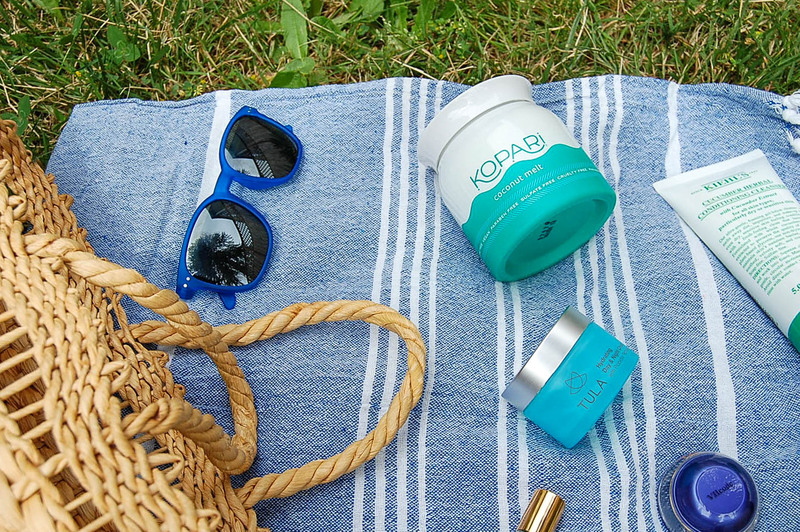 A rich, age-defying moisture cream for both day and night, the Tula Hydrating Day and Night Cream delivers hydration and antioxidant protection to help revive dull skin. Full of naturally derived probiotics and superfoods for a glowing complexion and radiant skin, this cream is nontoxic and suitable for all skin types. I apply this beautiful hydrating cream both morning and night to clean skin or after serum. 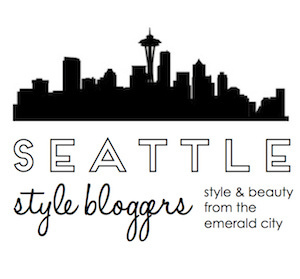 I have noticed improvements to my skin's smoothness, a reduction of fine lines and my skin feels incredibly nourished. I will never ever let my beauty cabinet run dry of this incredible cream. After cleansing, toning and moisturizing, I just add an SPF (I'm currently loving the Three Sixty Five SPF 28 by Kari Gran - not pictured) and my skin is ready for summer! 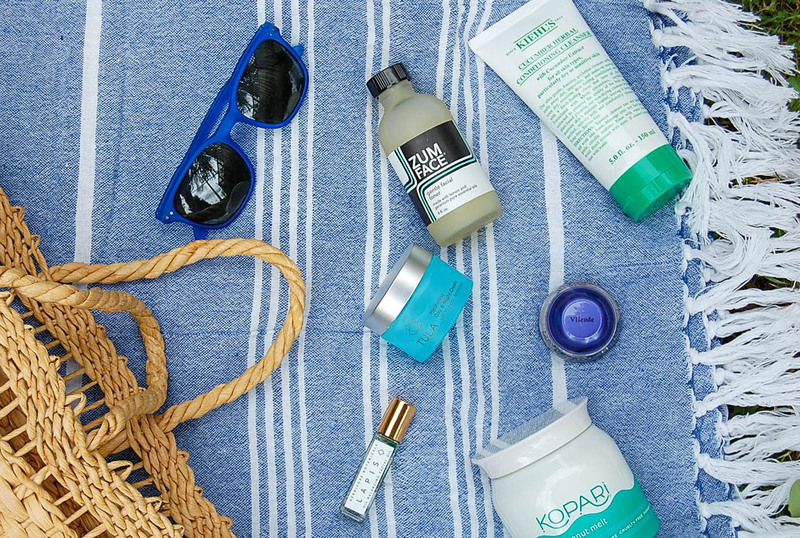 What are your favorite summer skincare products? 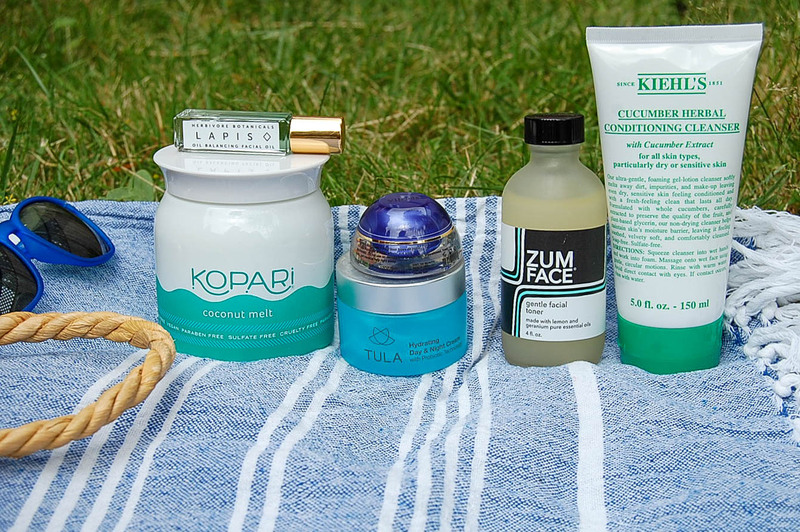 Tips for summer skincare? Please leave them in the comments! I've been wanting to try the Lapis oil!